This is a listing for a very useful print, "WiFi Password" digital download print. Doubles as home decor and as a useful, handy WiFi password display. This instant download allows you to print as many times as you need to allow for regular password changes. 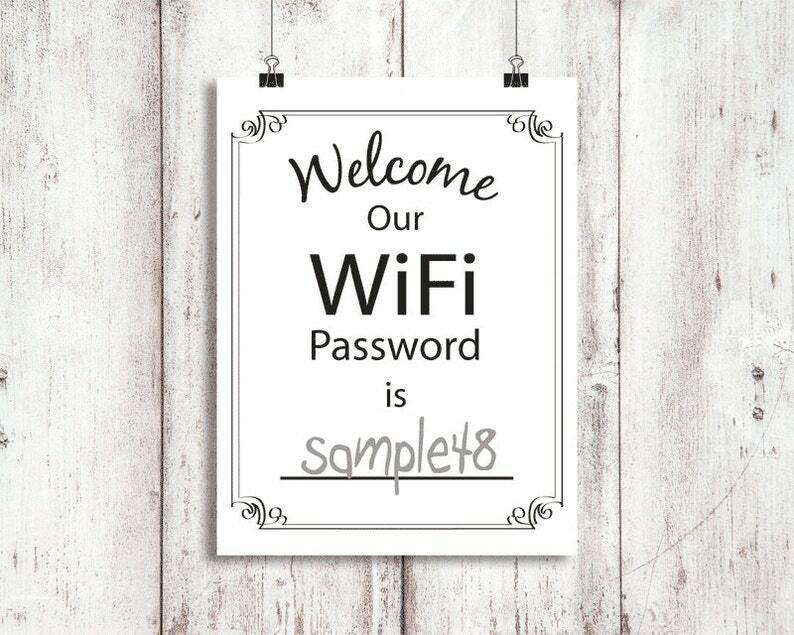 Just print and write your Wifi password on the line provided for guests who you welcome into your home. Comes especially in handy for us with our teen kids always having friends over. Great art to have nicely displayed! *By purchasing our products, you may print as many copies as you'd like of the art print for your own use in your home and/or as gifts to others. However, Please refrain from forwarding the actual purchased files to others. Thank you.